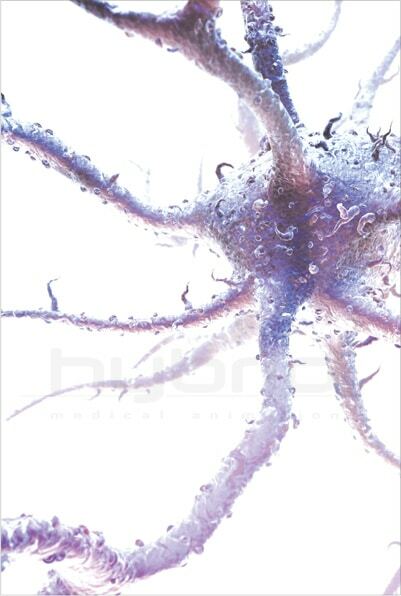 Conceptual illustration of a dendritic cell, a type of immune cell. Created for an issue of Scientific American Magazine. Since the art would take up an entire two-page spread, the art director wanted the piece to be instantly compelling, visually clean, and to accentuate the branching processes of the cell.